Diplodocus had a long neck that it will be used to achieve high and low vegetation, and drinking water. There is some debate about how such a long neck would have been held. Diplodocus is a Herbivore (plant-eater) dinosaur. It’s the main food was probably conifers, which were the dominant plant when the large sauropods lived. Secondary food sources may have included ginkgos, seed ferns, cycads, bennettitales, ferns, club mosses, and horsetails. 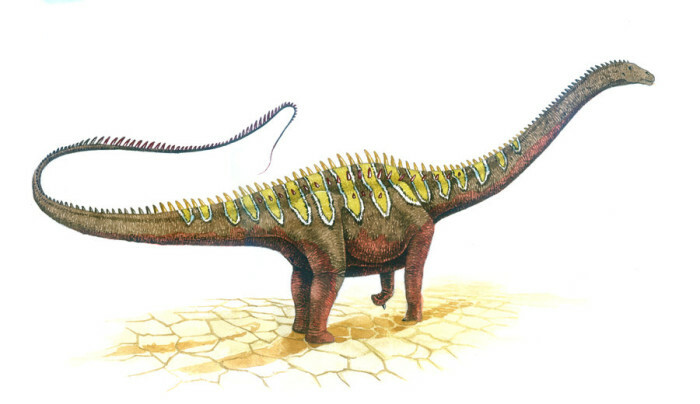 Diplodocus had blunt teeth (but only in the front of the jaws), useful for stripping foliage (leaves). Diplodocus had a 26 foot (8 m) long neck and a 45 foot (14 m) long, whip-like tail. Its head was less than 2 feet long and its nostrils were at the top of the head. The front legs were shorter than its back legs, and all legs had elephant-like, five-toed feet. One toe on each foot had a thumb claw, probably for protection.It has been determined that Diplodocus (and the other diplodocid sauropods, like Apatosaurus) could not hold their necks over about 17 feet (5.4 m) off the ground. It used to be thought that the sauropods (like Diplodocus) had a second brain. Paleontologists now think that what they thought was a second brain was just an enlargement in the spinal cord in the hip area. This enlargement was larger than the animal’s tiny brain.The first Diplodocus fossil was found by Earl Douglass and Samuel W. Williston in 1877. Many Diplodocus fossils have been found, Including a skin impression.